A must have for a healthy quick meal. 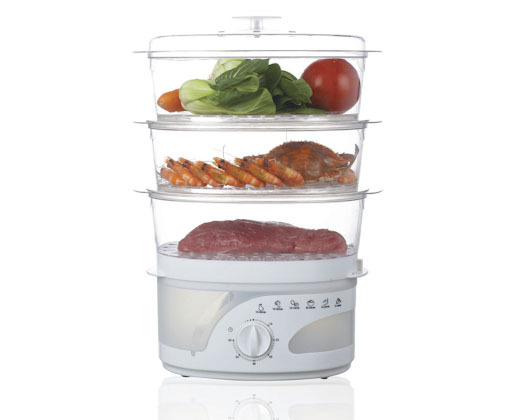 With its 60 minute bell timer and 9L capacity all you need to do is add your fish or meat and vegetables in one of the three transparent tiers and relax. With a water level indicator and overheat protection you can start your meal and leave it to steam to perfection. Even cook your rice with the 500ml rice bowl that comes included. 60 min timer with bell.